Former Boston Red Sox star David Ortiz, who already has a bridge named after him in the city, now has a street named in his honor too. Mayor Marty Walsh, Red Sox brass, Boston public school students as well as the man known as Big Papi himself participated in Thursday's ceremony. 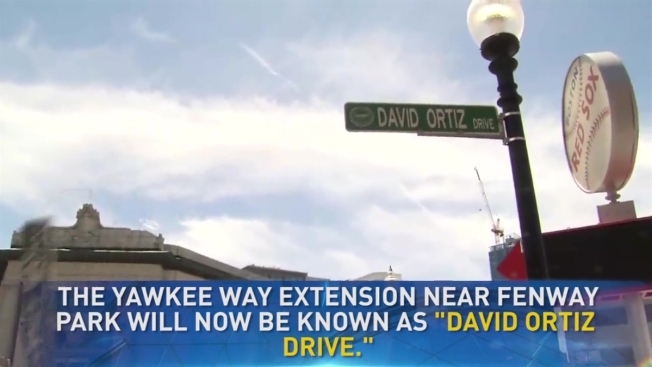 The street near Fenway Park formerly known as Yawkey Way Extension is now David Ortiz Drive. Ortiz retired last season after a 20-year major league career, including 14 years in Boston. The designated hitter helped the Red Sox win three World Series championships, including their first in 86 years in 2004. 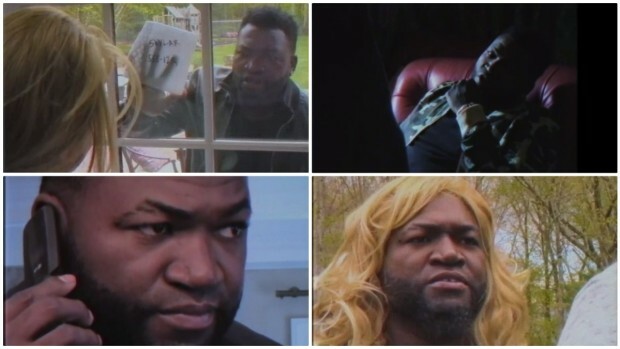 Former Red Sox player David Ortiz recreated scenes from famous Boston movies such as "Good Will Hunting" and "Fever Pitch" in a new campaign with Omaze. Fans can enter to meet David at his jersey retirement ceremony by visiting omaze.com/bigpapi. The Red Sox are scheduled to retire Ortiz's No. 34 on Friday.